A varied collection of forest understory still lifes, kitchen scene still lifes, landscapes, allegories, and others. Both edible and non-species are depicted in a natural style. Most species are identifiable. Medium: Oils on wood; size: 91 x 76 cm. Medium: Oils on canvas; size: 60 x 79.5 cm. Reference: La Truffe, secrets et plaisirs. Spécial Champignon Hors Série. 2000. Pagnol, Jean. La Truffe. Ed. Aubanel, 2000. Reference: La Revue du Louvre. 20ème année, no.3, 1970. Medium: Oils on canvas; size: 40.5 x 33 cm. Reference: Gallery Notes, John Mitchell and Son, London. Reference: Dorotheum. Alte Meister Kunstauktion. October 15, 1996. Medium: Oils on canvas; size: 56.5 x 35 cm. Medium: Oils on canvas; size: 113 x 131 cm. Reference: Grimm, C. Is this a book? more info? Stilleben. Die niederländischen und deutschen Meister. Stuttgart/Zürich: 1988. Medium: Oils on canvas; size: 118 x 170 cm. Reference: Wasson, G. and V. Mushrooms, Russia, and History. NY: Pantheon Books. 1957. (reverse image). Medium: Oils on canvas; size: 68.3 x 56.8 cm. Note: Similar to above in National Gallery, London, UK. Similar to above in National Gallery, London, UK. Elio Schaechter has an old postcard with this painting and museum location, but the museum states that they do not own it. Note: Similar to above in National Gallery, London, UK. Reference: The European Fine Art Fair. Maastricht, Netherlands. 1990. Medium: Oils on canvas; size: 60 x 75 cm. Mushroom description: Several indistinct boletes? Medium: Oils on canvas; size: 31 x 25.5 cm. Medium: Oils; size: 40.6 x 32.7 cm. Reference: Kunst und Antiquitäten. 1993. Reference: 1. Schneider, Stillleben, Cologne 1989. Steensma, S. Otto Marseus van Schrieck Leben und Werk. Hildesheim: Georg Olms Verlag. 1999. 2. Wasson, G. and V. Mushrooms, Russia, and History. NY: Pantheon Books. 1957. Savery, Roelant. Dutch (Flemish origin). Courtrai (Kortrijk, Belgium) 1576-Utrecht 1639. Medium: Oils on oak; size: 53 x 81.5 cm. Medium: Oils on panel; size: 108 x 150.2 cm. 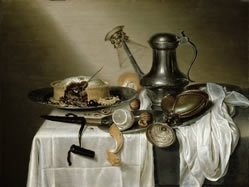 Note: A large number of still lifes containing mushrooms have been attributed to this Dutch painter. Please go to the complete listing for this artist. Here we include just a few samples of his work. Medium: Oils on canvas; size: 50.7 x 68.5 cm. Note: Wasson, G. and V. Mushrooms, Russia, and History. NY: Pantheon Books. 1957, shows a nearly identical still life , but with one of the mushrooms overturned and other small changes. Same location is listed. Medium: Oils on canvas; size: 68.3 x 52.7 cm. Medium: Oils on canvas; size: 32.5 x 41.5 cm. Found in: Catalog. Alte Pinakothek. Munich: 1999. Medium: Oils on pane; size: 37.5 x 15 cm. Medium: Oils on canvas; size: 80.5 x 65 cm. Reference: Lempertz-Auktion. Alte Kunst. Katalog 540. 1974. Medium: Oils on canvas; size: 101 x 80.3 cm. Steensma, S. Otto Marseus van Schrieck Leben und Werk. Hildesheim: Georg Olms Verlag. 1999. Medium: Oils on canvas, 106 x 84 cm. Medium: Oil; size: 82 x 67.5 cm. Reference: Debrie, C. Les Natures mortes du Musée Jeanne d'Aboville.